We have gear rentals available for all Into the Wild overnight trips and day trips! 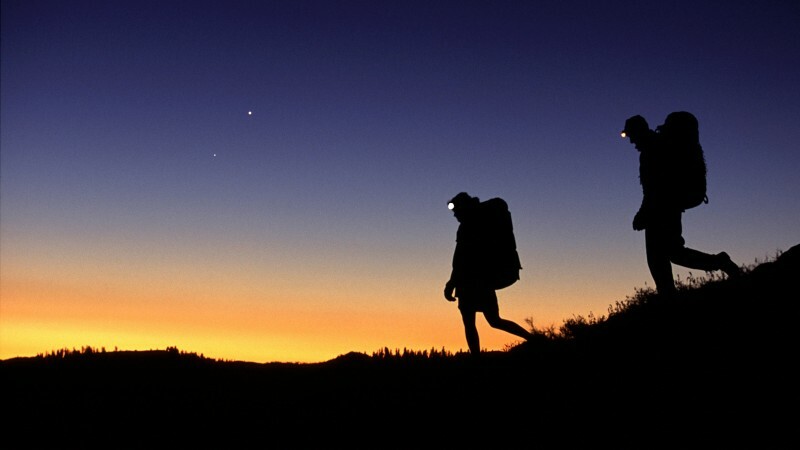 We have backpacks, sleeping bags, sleeping pads, sleeping bag liners, and headlamps available for rent for our trips. All group gear - food, tents, JetBoils, first aid kits, and more - are included in the cost of the trip and provided by Into the Wild. If you need a cup, bowl, spork, plate, hiking boots, or any other item please inquire about these items during your pre-trip meeting. All gear rentals involve a liability waver and gear must (generally) be returned by Monday night following your weekend usage to avoid a late fee. Gear rental costs are outlined below! Want to have your own adventure but don't have the gear you need? Into the Wild rents out backpacks, sleeping bags, sleeping pads, sleeping bag liners, headlamps, tents, stoves, water filters, and more to any Santa Clara student in need of outdoor gear for their own outdoor trip. If you need it for your trip, chances are we have it available for rent. To request gear for rent and set up a transaction appointment, please stop by our office, Room 15 in lower Benson! Gear return times are 6:30-7:30, Monday and Tuesday. Backpacks are available for rental for overnight trips and spring break trips for $5. Backpacks available for rental for non-ITW trips for $10. Sleeping bags are available for $4 and sleeping pads are available for $1. Headlamp rentals for Into the Wild trips for $2. Non-ITW purposes $4. Non-ITW stove rentals for $4.